"For as long as I live, I will offer my service for others, so that many people recognise God in their lives, and I can truly be a disciple of Jesus Christ. He who has lived and died for me, I keep living on His footsteps"
Born in Valletta on the 15 Novembrer 1851 of a noble family which lived strong christian principles. His parents were Count Saviour Formosa and Josephine Farrugia Lebrun, from whom the young Isidor received examples of the highest virtues, especially industriousness and putting himself at the service of others. When he showed an inclination to the ecclesiastical career, he found in his home encouragement and consolation. Having passed with excellent results the course of studies and after being consecrated a priest, he showed himself to be full of zeal for the spiritual good of the People of God, at the same time showing from the first special attention to the poor. In fact the first ground which he lovingly toiled was the Institute of the Good Shepherd, instituted for the spiritual education of poor children in Valletta. Don Isidor embraced this work with holy enthusiasm and a paternal solicitude. These were children lacking the first rudiments of manners, and the sight of their poverty compelled him to unite holy teachings had with material bread and also clothes which he procured, especially on the occasion of their First Holy Communion. ​​Simultaneously he directed the catechism for girls which was held in the Church of St Barbara. As this was neglected, he undertook to fortify the group called Daughters of Mary with indulgences gained by aggregating it with the Original group in Rome. A large number of vocations to the religious life originated from this group. Don Isidoro’s charity shown in this Marian Congregation as well, as he promoted it very much. He was also a Salesian Co-operator and admired greatly the work of Don Bosco who he encouraged to initiate a community here in Malta for the benefit of young boys. A recollected priest, experienced in the direction of delicate souls, he was summoned to take the office of Confessor and Ordinary Chaplain of the Augustinian Nuns of St. Catherine Monastery. Obedient to the wishes of his Superior, he accepted the exacting work and brought these chosen virgins ever forward on the arduous journey of religious perfection. It is worth mentioning his zeal in promoting devotion to the Sacred Heart of Jesus, Mass of Reparation, Forty Hours Devotion, the Holy Face, and these he passed on as a spiritual heritage to the Sisters he founded. As a member of the Archconfraternity of Mercy he occupied the post of General Procurator for many years, till the weakening of his eyesight prevented further service. Don Isidor was a member of the St Vincent de Paule Society from his youth. Therefore he was always informed of the true needs of the poor, frequently coming across difficult cases in which he applied all the energy of his mind and heart to provide a suitable solution, searching deeply to find the true cause of that which needed to be remedied. Mgr. Formosa was especially gifted in this, and to truly eradicate the evil, would use all possible means, making the most heroic sacrifices. Therefore after the death of Mgr. 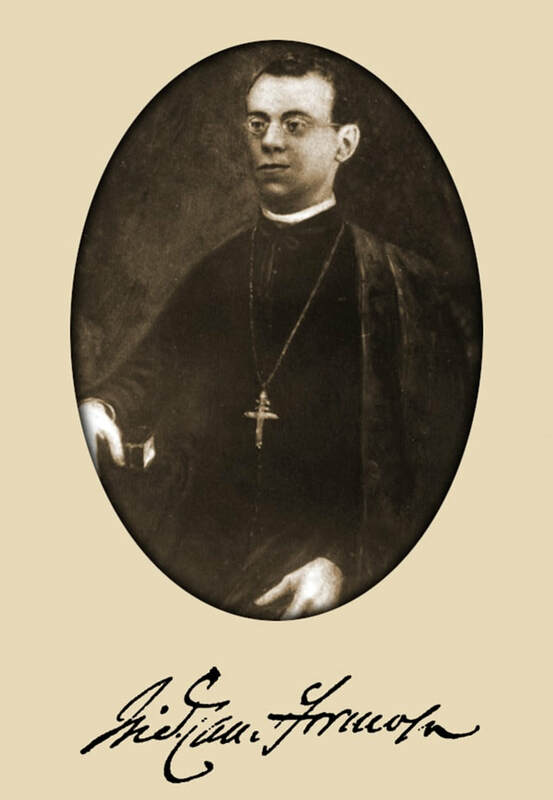 Pullicino who was then President of the Conference of St Vincent de Paule, in 1890 no one was found more suitable to take his place in presiding this Charitable work than Mgr. Formosa, which he did with unanimous acclaim of all the Members. He replied to the faith of those who chose him and for more than forty years, never missing a meeting, giving everyone the example of his activity, in spite of bad weather or inconveniences suffered to the very end of his life. Amongst the social reforms launched during his Presidency, we find him ever in the forefront with true Christian courage, to bring a ray of hope and effective solutions. This he did according to the teachings of Jesus Christ, discreetly and humbly. During a time of grave poverty and social crisis, as for example following the First World War, he met great challenges in continuing charitable work but showed himself to be a dynamic person, in word, writing and example,. One cannot omit his literary works, spiritual as well as cultural, greatly contributing with books of merit. He published a devotional booklet in Maltese, “Il Bon Pastur”. Through this he divulged many necessary admonishments, among which those against the Masonic sect which tried to expand here amongst us. On this subject he wrote very forcefully to make people aware and was in the forefront to defend the Church and her teachings. Mgr. Formosa’s home was the aim of many a pilgrimage of poor people who turned to his generous heart every day. They were widows, orphans, aged, labourers in search of work who turned to this generous man of God, whose considerable family income, and that which he received from the Church, everything was distributed, without ever refusing anyone, so much so that no-one ever left without receiving some consolation. His charitable work was not only accomplished locally but he also contributed to organisations such as the Holy Infancy, “Propaganda Fidei”, the Salesian Missions amongst others. This received recognition even from the Popes, as can be seen from the letter he received on the second of May 1911 from Pope St Pious X. When he was appointed a Monsignor in 1888 he used this honour for the benefit of his Foundation for which he dedicated himself totally. He was truly everyone’s servant. He was also an Apostolic Pronotary and exerted himself in this office for the good of the Church. The virtue of patience shown in him, mostly during the sacrament of reconciliation where, apart from the forgiveness and grace of the sacrament, he often donated alms. He was a man of prayer and devotion, even visiting famous Sanctuaries such as those in the Holy Land, Assisi and Loreto. Apart from being active in the social sphere, he was a member of three Confraternities, that of St Philip Neri of which he was also Rector for some time, of the Church of St Barbara and of Our Lady of Charity. During the last years of his life he accepted a severe cross from God’s hands because of lack of eyesight, but remained as active as possible. When hard-pressed by illness in the last years he still visited the Sisters, celebrating Mass for them and rejoicing in the progress of their work. During the last days of his life he was assisted by the Sisters who were sorrowful at the imminent loss of their Founder and greatest benefactor. He refused an injection which could reduce the painful symptoms that the money could go instead for bread for the poor. When they came to prepare him for burial, he was lacking even the necessary clothes, having given everything to the poor . . . and this when he was a nobleman and could have lived otherwise. He had expressed that he wished a simple funeral, and this was done. He passed away quietly on Monday 19 January 1931 at 10.45 in the morning. When he died, he was universally lamented, by every class of people, as a generous, good and model priest, who always thought of the interests of those who were suffering. He never sought honours for himself, but after his death was acclaimed by the people as a saintly man.